The election of a new president in Senegal, the celebration of the 100th anniversary of the ANC and the turbulent situation in Mali are some of the events that have recently been on the airwaves about the African continent. 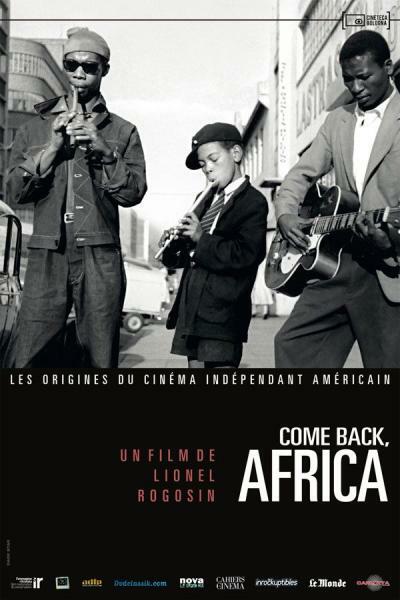 Senegal, Mali and South Africa are part of our 20 years of African Films in the African Diaspora International Film Festival TC Series from July 27-29. Speakers from these countries will attend the screenings to discuss with the audience about the films and other issues of interest. Atim, 16 years old, is given a revolver by his grandfather so that he may kill the man who killed his father. An intimate parable of truth and reconciliation. Comedy about a retired French army officer from Burkina Faso who has been trying for decades to obtain his well-deserved military pension and looses his patience. In order to raise the money to get a new vehicle, a truck driver sells some stolen watches and promises his daughter in marriage to a rich merchant. Mina is tired of her husband’s infidelity and decides to take a drastic decision: She takes a second husband. A comedy about jealousy, infidelity, romance and revenge. This drama comments upon the negative effects of European colonisation while telling the inspiring tale of a woman determined to forge a better life for herself and her family. Screening followed by discussion with a Discussion with UN representative canceled. This drama rooted in Yoruba traditions explores the social and economic divisions within Nigeria through the story of a corrupt Chief and two young people in love. A devastating, yet uplifting portrait of the inhumanities of state-sponsored racism in South Africa in the 50’s and the glimmers of hope found through community, dance and music. Screening followed by discussion with Mr. Gugulethu Gingqi, Political Consul of the New York South African Consulate. Two powerful social commentaries that open a window on a slice of the daily life and hopes of regular folks – bus drivers, dwellers, and maids – in Dakar, Senegal. Screening followed by a discussion with Senegalese journalist Dame Babou. DVDs of films from Africa and the African Diaspora will be on sale at the venue. per DVD; for 2 DVDs; for three DVDs and for each additional DVD.